There’s no way around it. In today’s competitive marketplace a professional website is the absolute minimum requirement for any business of any size. But you’re not in this to do the minimum—and that’s why we’re going to talk about something called A/B testing. 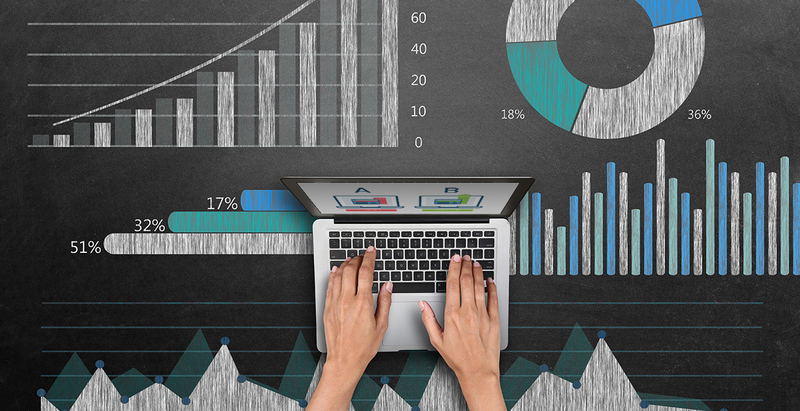 A/B testing is a powerful tool that can improve conversion rates and your bottom line. When done right it can maximize your ability to attract and retain clients through your website. And let’s face it—that’s the purpose of having a website for your business, right? Here at UpThemes our customers rely on us for full-spectrum website solutions for their business needs. That’s why we’re happy to point you to a few resources that’ll help get you started with A/B testing. But first, let’s go over some basic concepts. Let’s start with the name. Just think of “A” and “B” as two versions of a web page. Version A might be an exact replica of your current website, while Version B could look the same except for one small detail. With your two versions ready, you’ll show Version A to some visitors and Version B to others. By measuring your visitors’ responses to these two slightly different versions of your website you’ll learn all kinds of useful information. For example, by isolating certain variables you can find out which version produces the better conversion rate—which version sells more products or services, or which version gets more inquiries. So what kinds of variables can you test? Common choices include colors, shapes, sizes, and locations of elements like sales copy, headlines, buttons, links, and graphics. If you’re selling something on your website, you’ll probably want to test your purchase funnel. But it’s really up to you. Bottom line: Test as many elements as you like. The more you test, the more information you’ll generate. If you’re in business you need to know as much as you can about your customers, whether they’re repeat clients, longshot prospects, or anything between. One way to know more about your clients is by studying their habits when they visit your website. That’s where A/B testing comes in handy. When you run A/B tests you pinpoint which elements of your website perform best with customers. Or, to put it another way, you learn what your customers like—and what they don’t like. 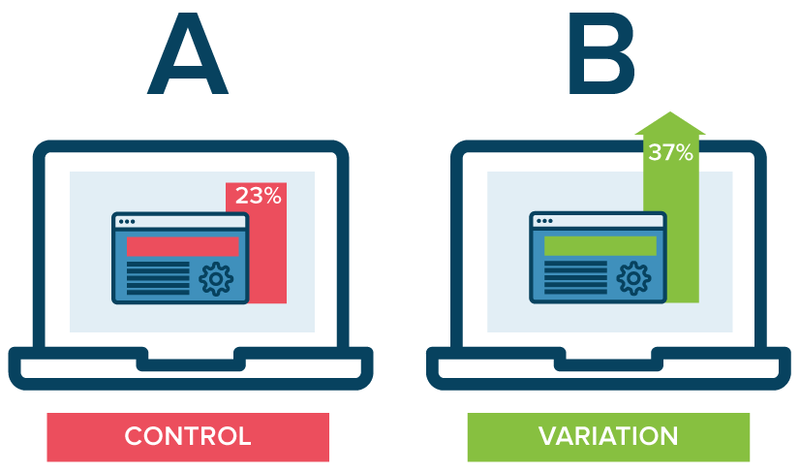 Crucially, A/B testing gives you hard data about your customers’ preferences. With that information in hand you’ll be able to craft better sales and marketing strategies. And with better sales and marketing strategies you should quickly notice a difference on your bottom line. According to Optimizely, Sony saw a 20% increase in purchases after running A/B tests on variations of its checkout page layout. Sounds great, right? Just keep in mind that you need to run your tests as often as possible, not just once. More effective marketing materials. Easier decisions. An improved bottom line. Any business owner can get excited about that. Where can I find some A/B testing tools? Ultimately, only you can decide which A/B testing tool is right for you based on your needs. With that said, we have a few recommendations to get you started. If you’re new to A/B testing, Optimizely is a name you’ll probably hear quite a bit. Optimizely X Web Experimentation offers an easy-to-use format, support for all your devices, and loads of analytical tools for you to play around with. Their client roster boasts big names like Microsoft, Disney, and Netflix. Plus, the flexible, pay-as-you-go pricing structure is based on how many unique visitors you test each month. So what are you waiting for? With Unbounce, you can build and test custom landing pages without any HTML knowledge whatsoever. Plus, you have the option to start from scratch or use one of Unbounce’s customizable templates. With targeted overlays, you can show a specific version of your website to specific users, maximizing the effectiveness of your conversion opportunities. Pricing ranges from $49 to $499 per month, with a free one-month trial available at most levels. Yep, Google is in the A/B testing game. Google Experiments, which is part of Google Analytics, isn’t necessarily the most powerful A/B tool out there, but it is free. And free is hard to beat. Visual Website Optimizer, or VWO, calls itself the world’s easiest A/B software. And, with its handy point-and-click editor, VWO might be just that. But since you’re looking for more than just ease-of-use you’ll be happy to hear that VWO offers the ability to display personalized content, target specific user types, and gather visitor segment metrics. Plans start at $49 per month when billed annually. For as little as $29 month-to-month, Nelio A/B Testing Service offers unlimited experiments, heatmaps, clickmaps, and continuous updates, among other features. Like the name suggests, Simple Page Tester is nothing if not easy to use. After downloading the free plugin (you can also upgrade to premium), all you have to do is click to set up a test and then decide which version you like. Unlike the other options listed here, AB Press Optimizer charges a one-time fee for its service. For the $49 the individual rate, you get features like unlimited testing (on unlimited visitors), real-time reporting, and built-in exporting to Microsoft Excel. Plus, there’s a money-back guarantee. So there you have it. 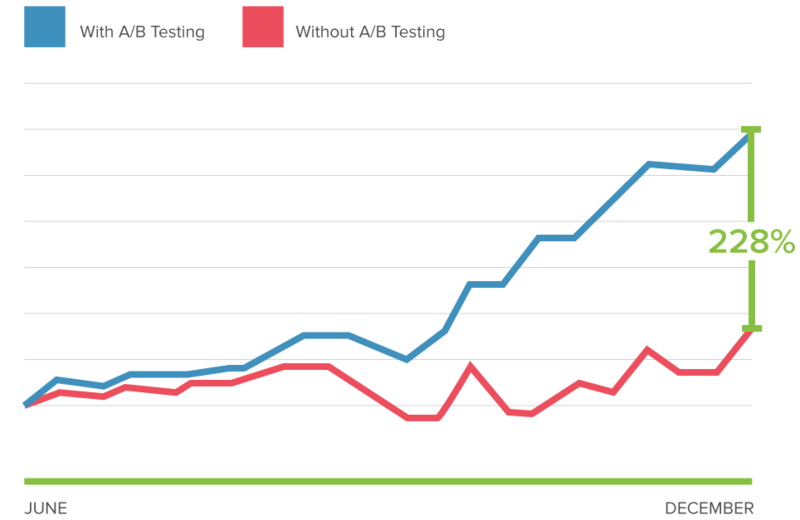 If you’re looking to maximize your conversion rate, you really should be doing some A/B testing. Where you go from here is up to you, but after looking through some of the links provided, you should have a good idea of how to get started.